I know this has been kicked around a lot- I took RT’s advice and others and purchased an electric fuel gage to run into the cabin. As I still run the fuel bowl I was going to use the passenger side, bottom pressure port which as I understand is the post filter port. I’m guessing that this way I’ll be able to see fuel psi under a load while driving as well as getting a glimpse of filter condition in bowl. I picked up the Auto Meter 8463 fuel gage. Directions says for high vibration / race engines the sender should be remotely located to the fender well. I don’t know if the 7.3L would be considered high vibration. 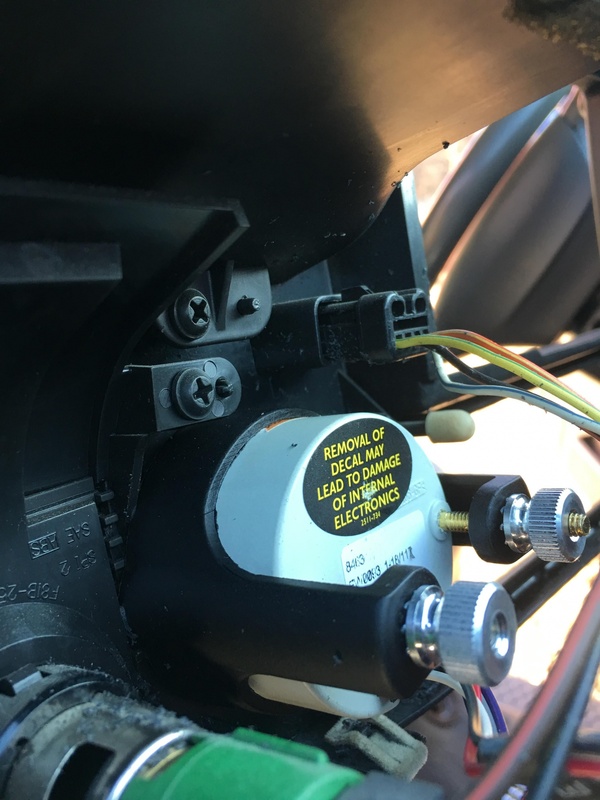 Has anyone had any issues mounting the sender right to the fuel bowl? How many have relocated sender to a remote location. Thanks! 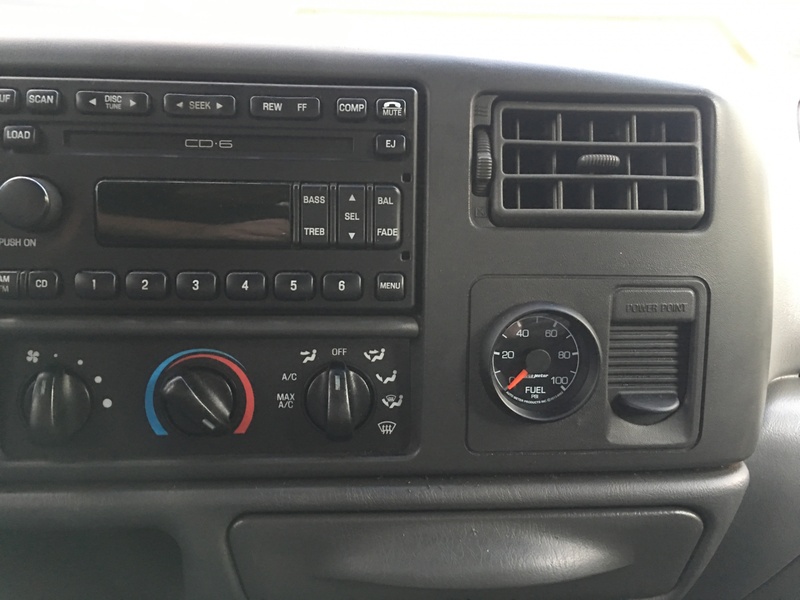 My guess would be that the 7.3L would be considered high vibration, as would about any diesel. A hose from the port to the sensor mounted at the firewall or fender would eliminate any vibration. RT should be able to tell you if he's had any issues with his setup. OK—simple item, but I’m stuck and hoping someone can offer a better suggestion if there is one. 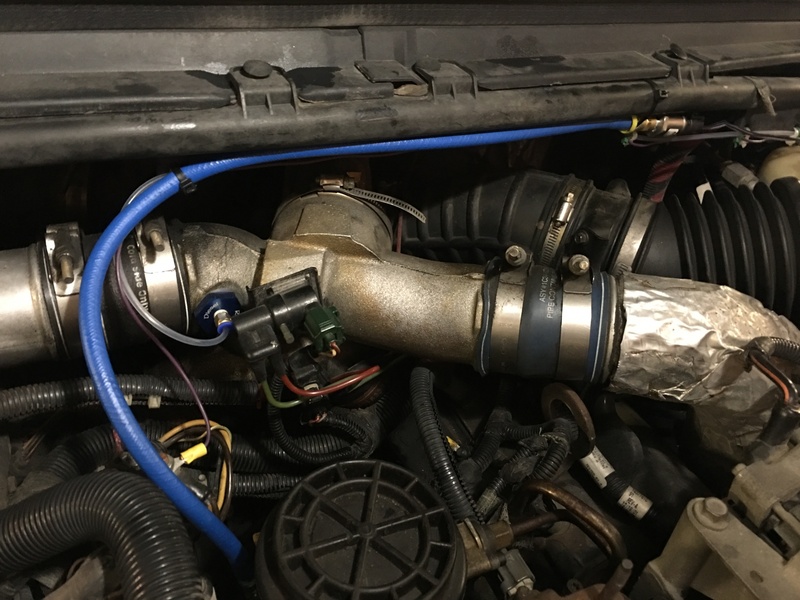 On a search of the above subject a thread came up in which the OP stated he bought an extension fuel line from Strictly Diesel—runs from fuel bowl to remote sender location. I spoke to their customer service and the extension fuel line they carry is only for the 6.0. (I don’t understand the difference- I thought both engines used a fuel bowl) I have contacted both Strictly Diesel & DieselORings and apparently all they carry for the 7.3 is what I already have -the fitting (#4 thread/O-ring) and 90 elbow, & Schrader valve that goes in the fuel bowl back port. In my discussion at DieselORing we discussed the max fuel psi being in the neighborhood of 65psi (+ or - ) and using barbed fittings, fuel hose, and double hose clamps. Can someone give some insight or better way to do it- maybe RT if he’s online. Most any hydraulic shop can set you up with 100 psi rated hose and push-on fittings. That's what I have on my fuel supply lines from the fuel bowl to the heads. Adapting to the SAE o-ring fitting should be easy if the fuel sending unit threads are tapered pipe threads. I have the ISSPRO EV2 fuel pressure gauge. I'm using the "stock" setup from ISSPRO with a straight fitting on the lower port and have no problems. Just an update- I ordered my push-lok hose (1/4”) and push-lok fittings (1/8” mnpt / 1/4” hose i.d. 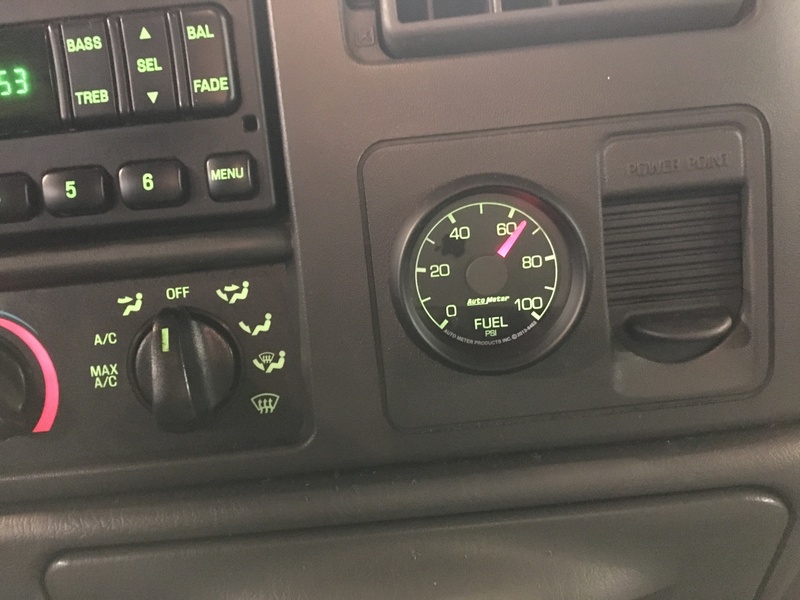 After a lot of consideration I decided to mount the 2-1/16” fuel psi gage just to the left of the 12v accessory (power point) plug for a cleaner look. There was no factory switch in that location for the passenger air bag—area is deep, but space is very limited....and you have to get the hole centered just right—you can see the view from the back side of dash. I can see the gage face well from the drivers seat, figured I didn’t need it right in front of me as one of the discussions earlier was it isn’t something that needs constant attention. I haven’t used any of the push-lok items before so one thing worth mentioning that I found after digging through lots of literature from the manufacturer was that the push-lok hose has to be used with the push-lok fittings so as to guarantee a secure hose that can’t come off the barbed end. Last edited by Big Horn; 02-02-2019 at 10:20 PM. Nice, how about a pic at the fuel bowl? Nice and clean setup, now I am considering doing the same. Thanks- I’m waiting on my fittings & hose (ordered on eBay) As soon as I get it plumbed I’ll post a picture. 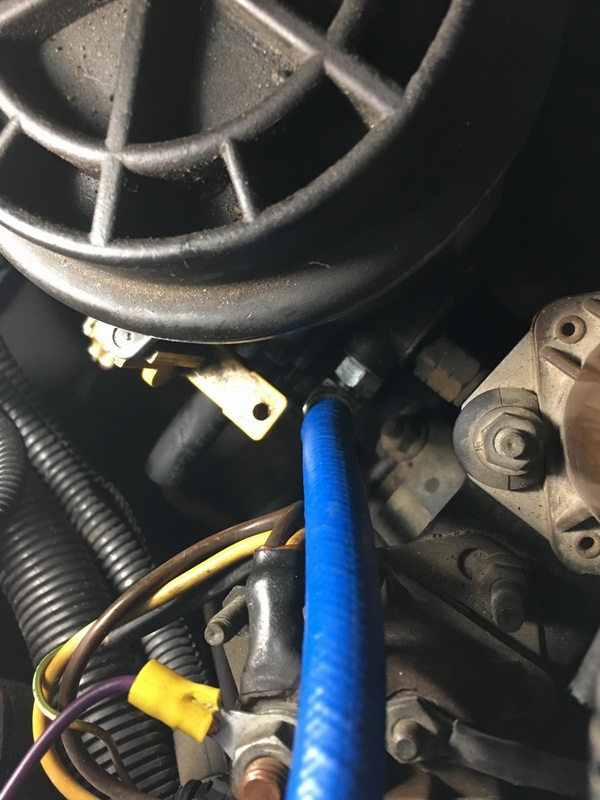 Spent a good part of the day running the winch power- 2/0 welding cable (+ & -) through the front of truck, up to the engine compartment, positive to a 600A Disconnect, to 500A in-line ANL fuse, and to battery. I bought the hydraulic crimper for attaching the cable lugs/eyelets and it really worked sweet! I have a ISS PRO fuel gauge also. Its sensor mounts directly to the fuel bowl. Has worked flawlessly for 7 years and is very stable on accuracy. Installed: I bought a 90 degree fitting from Diesel-O-Rings, Push-Lok fittings & 1/4” hose from JEGS- rated for gas/oil/diesel 300 psi. For now just zip ties but I have 1-1/4” black split loom on the way to clean up the fuel hose, boost psi line, and gpr wire to gauge across hood cowl. 69mach1377 and jleedog like this.